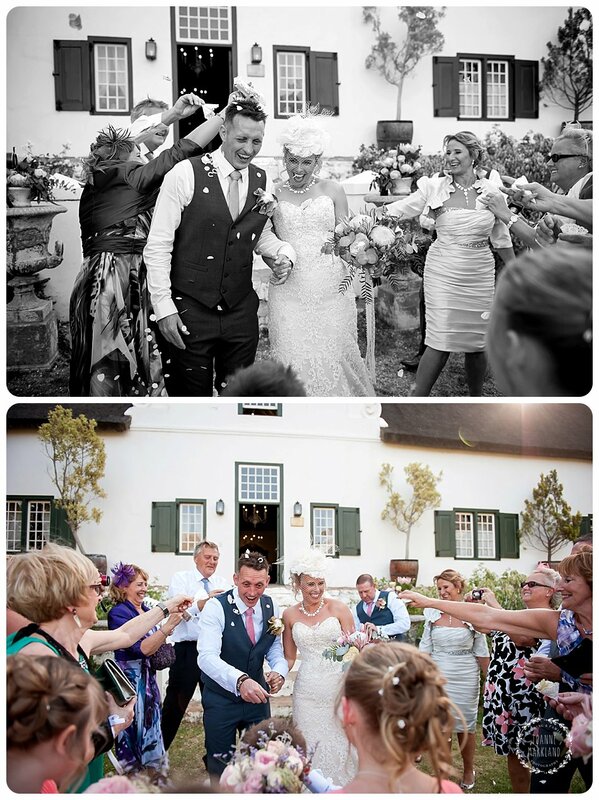 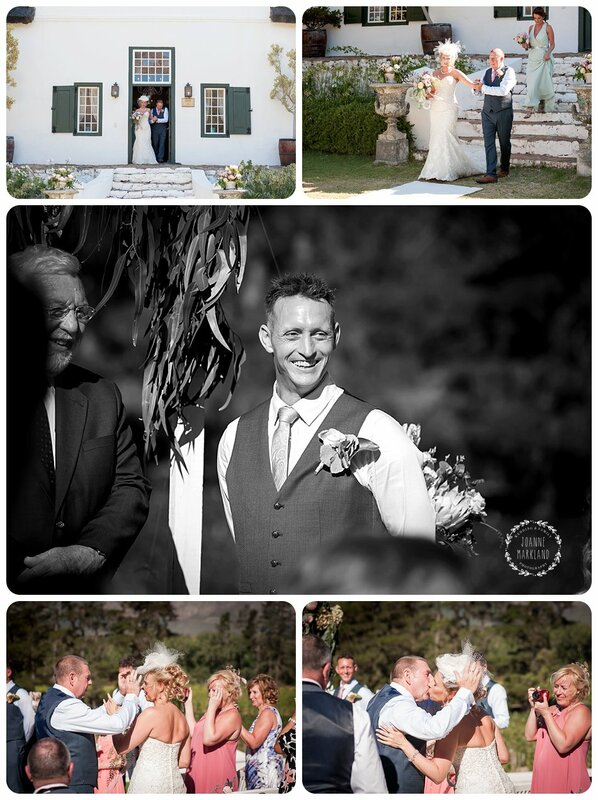 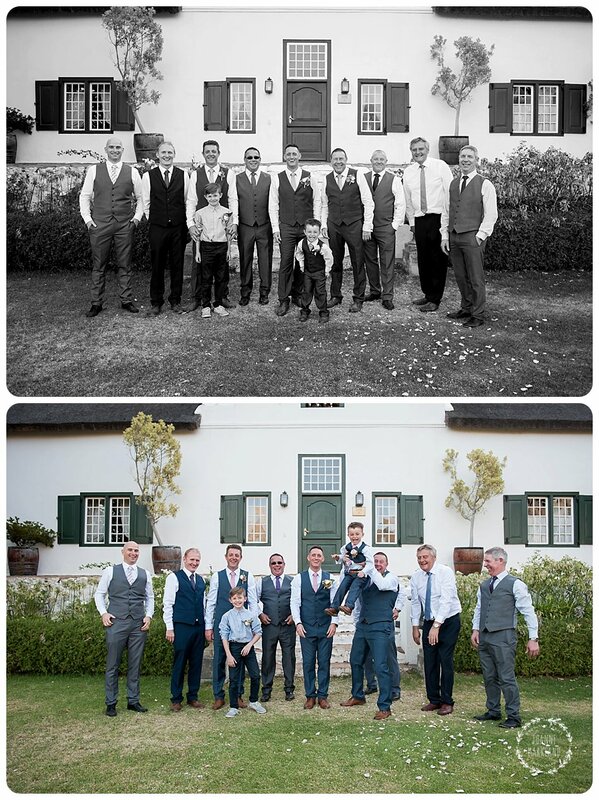 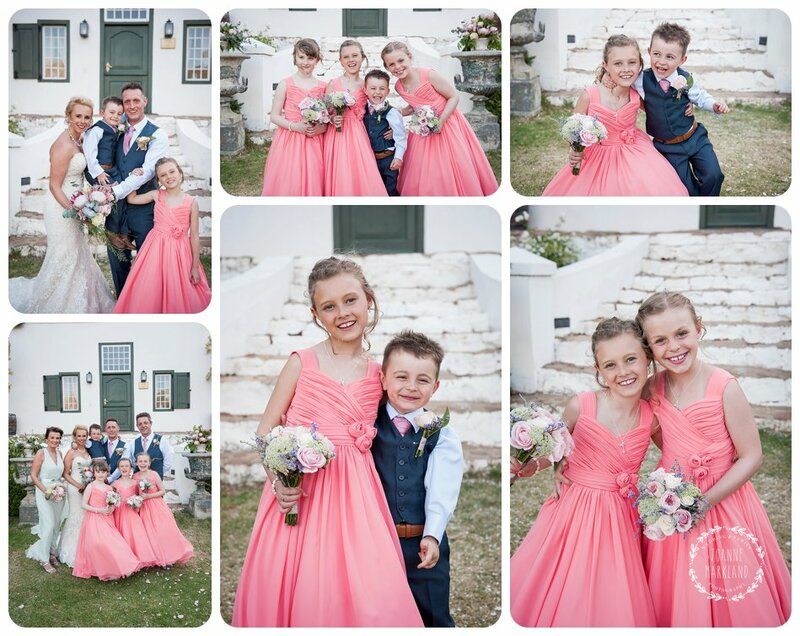 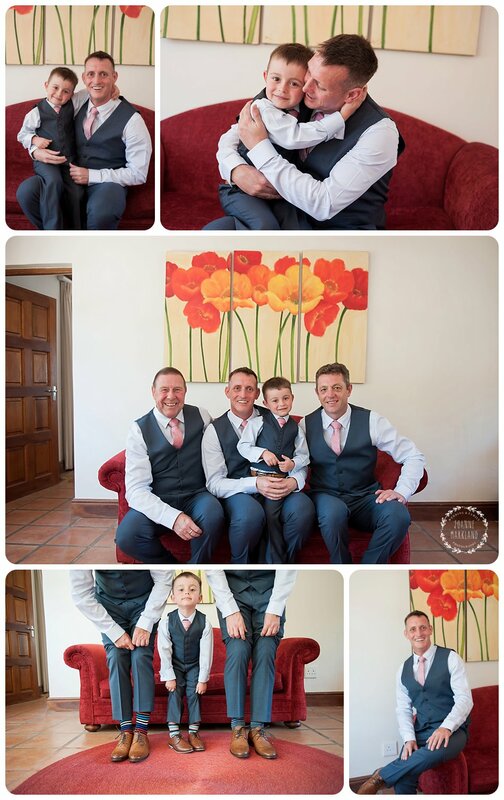 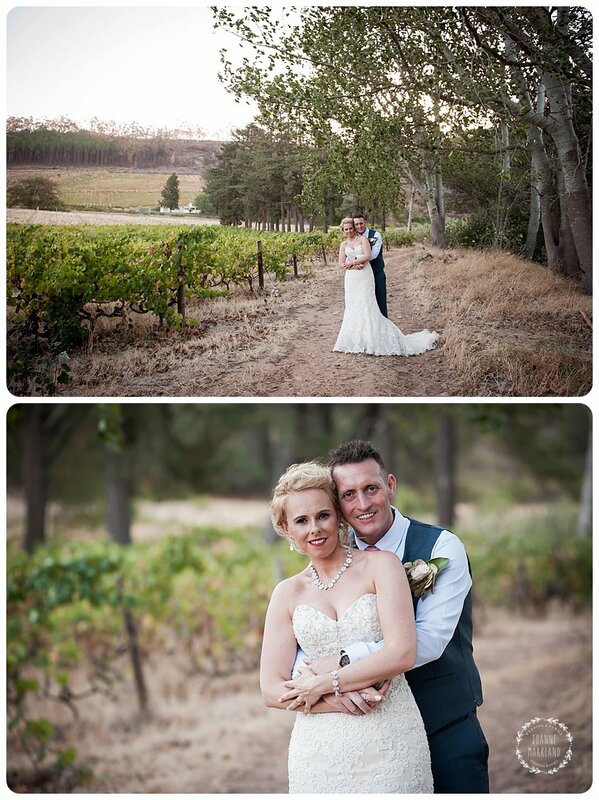 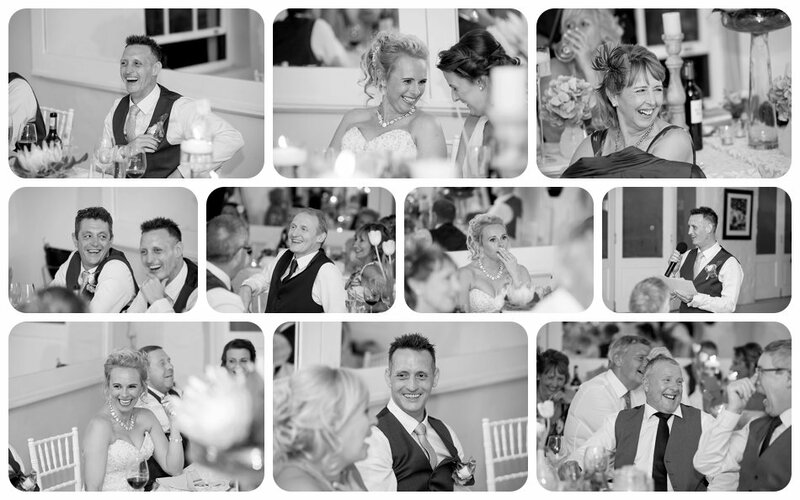 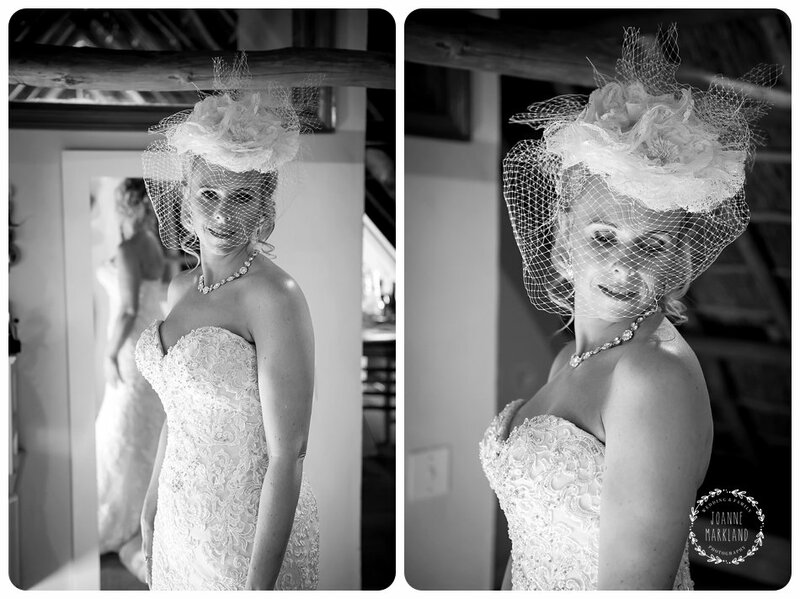 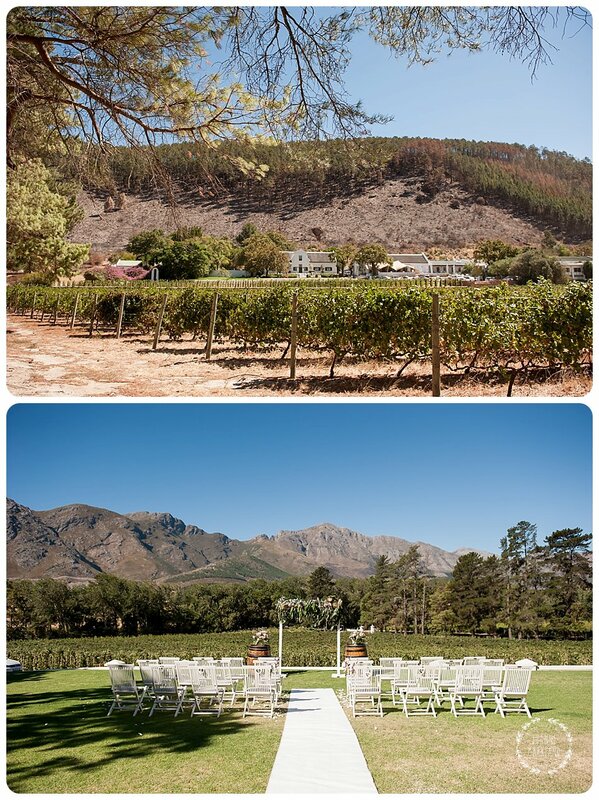 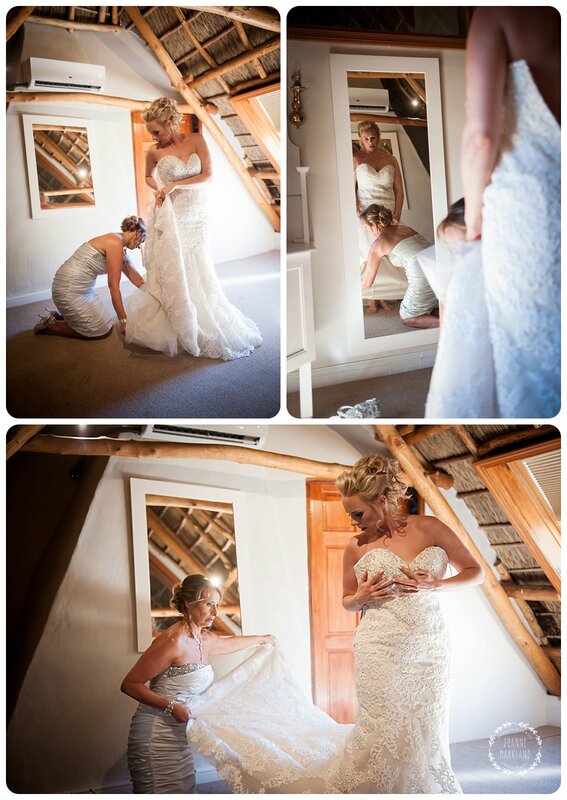 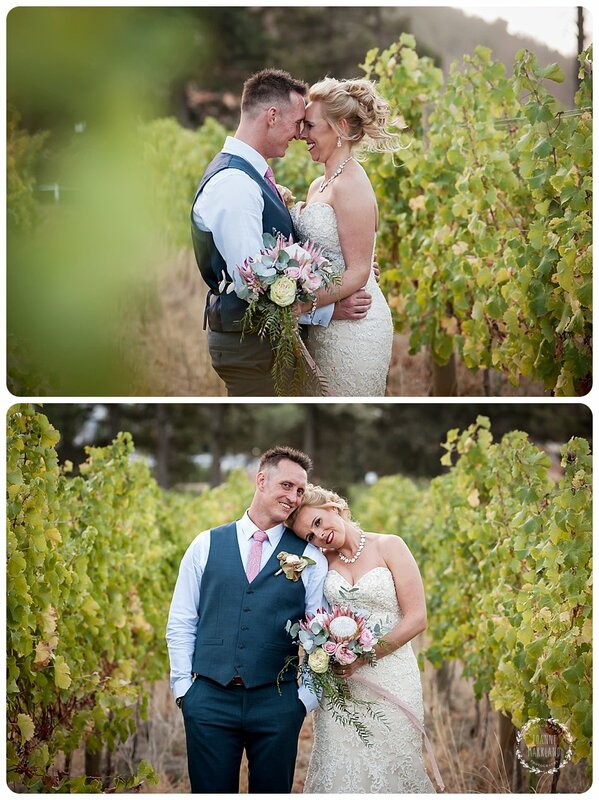 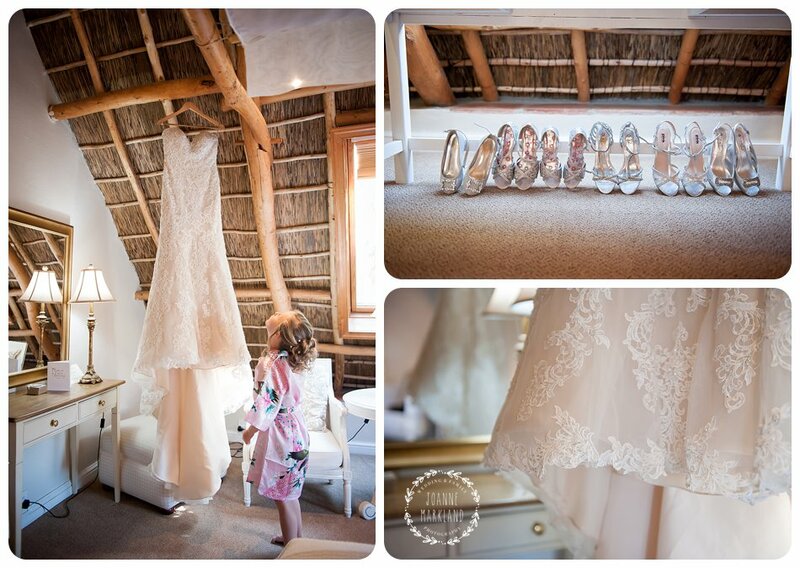 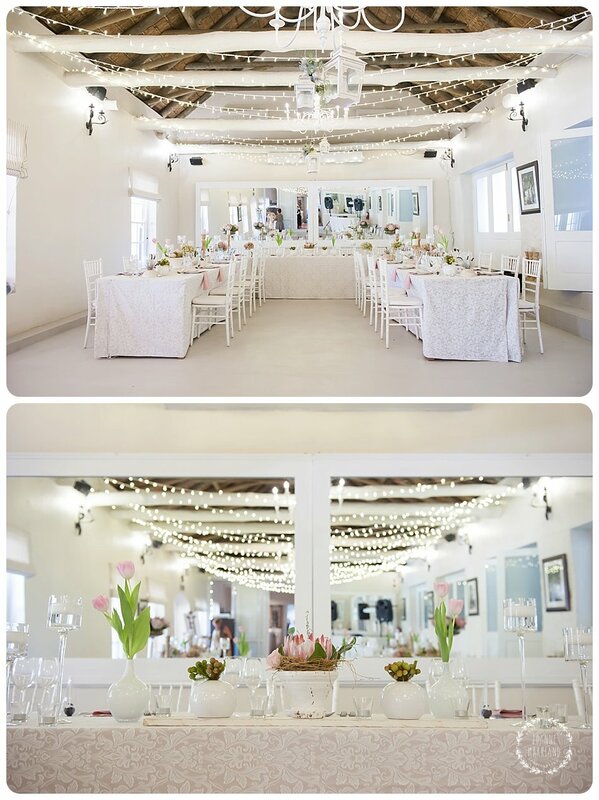 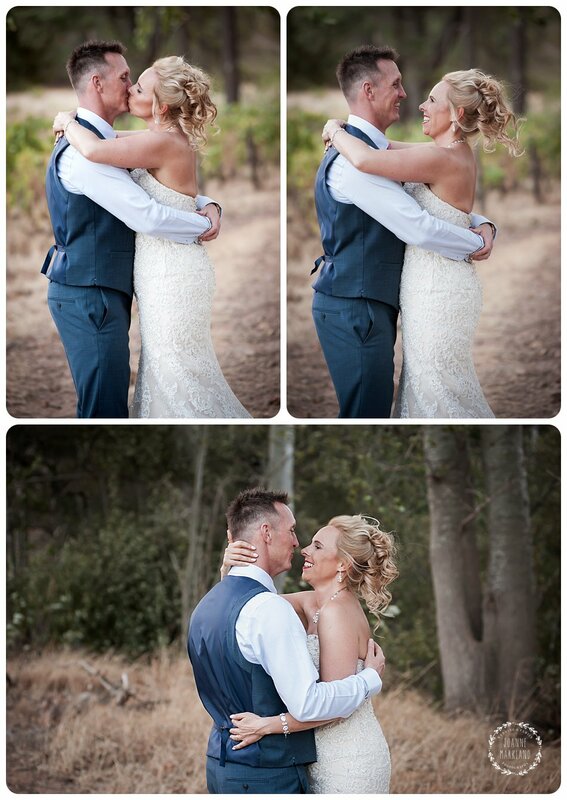 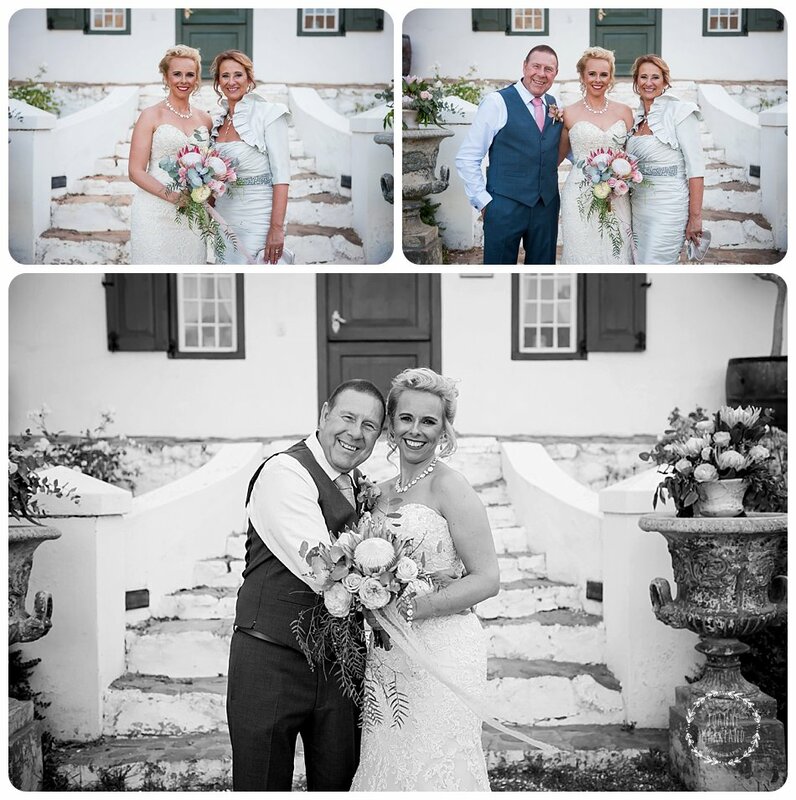 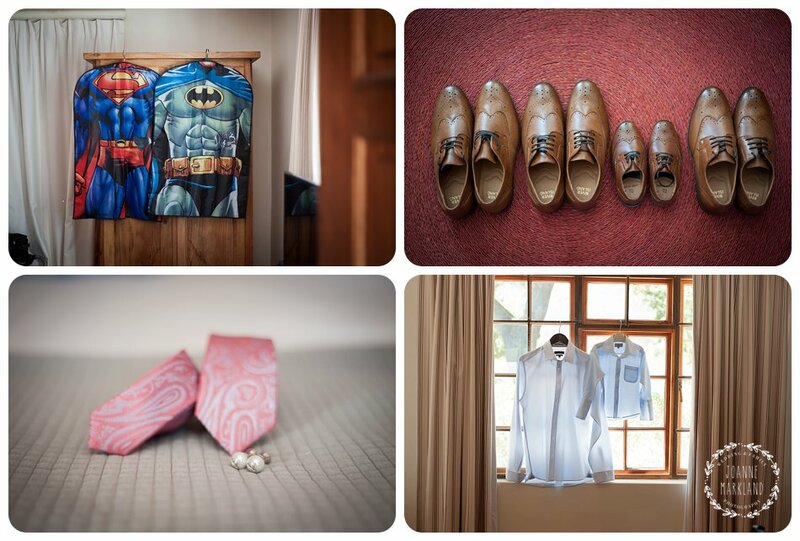 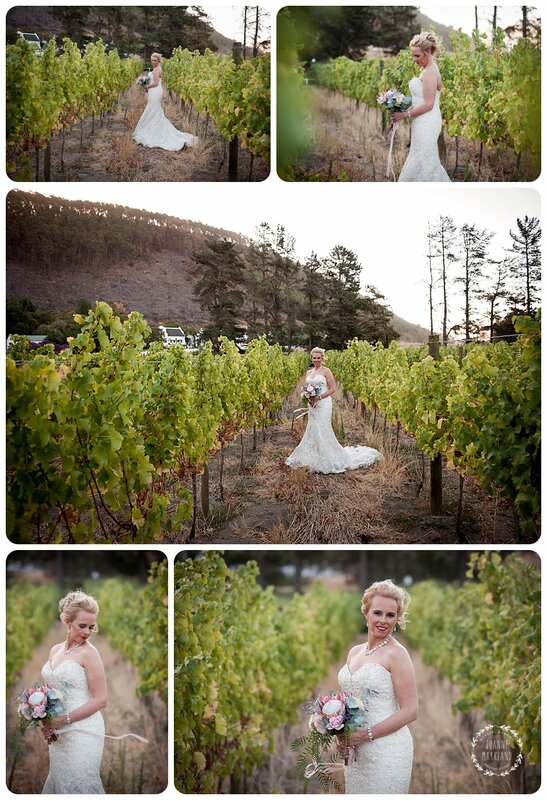 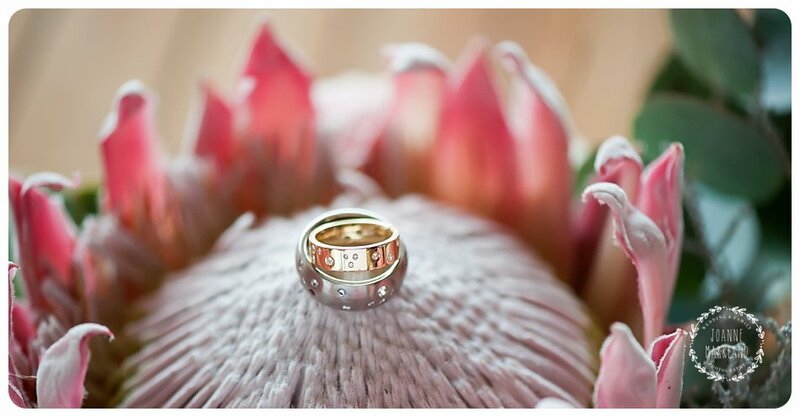 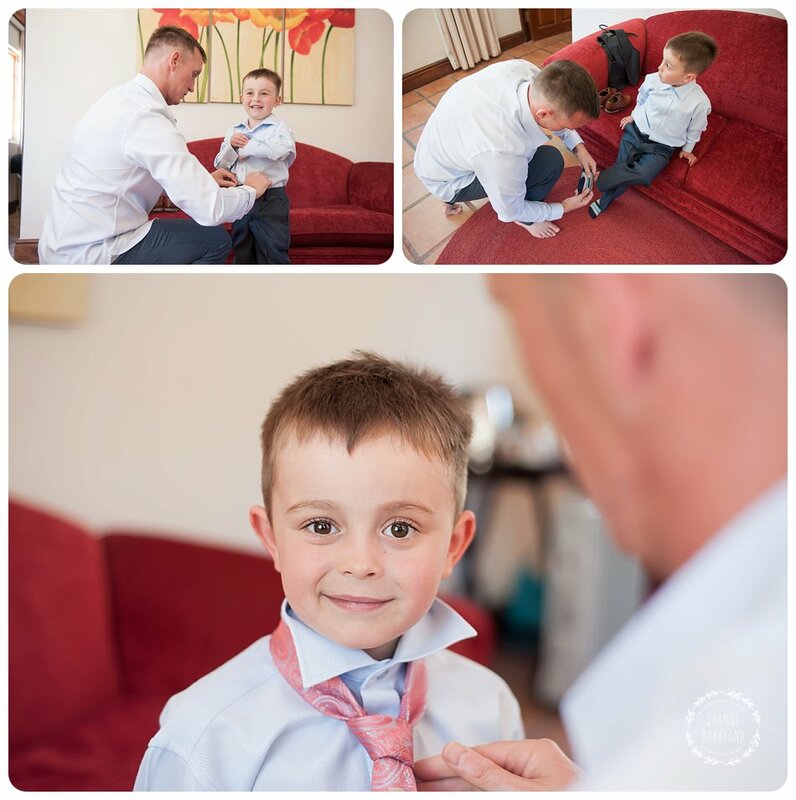 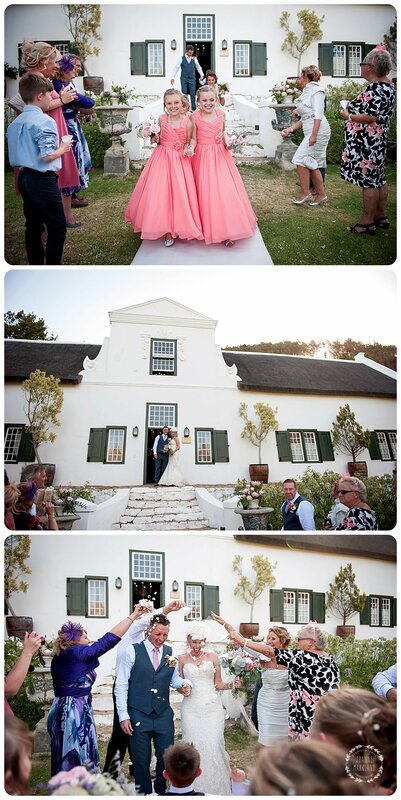 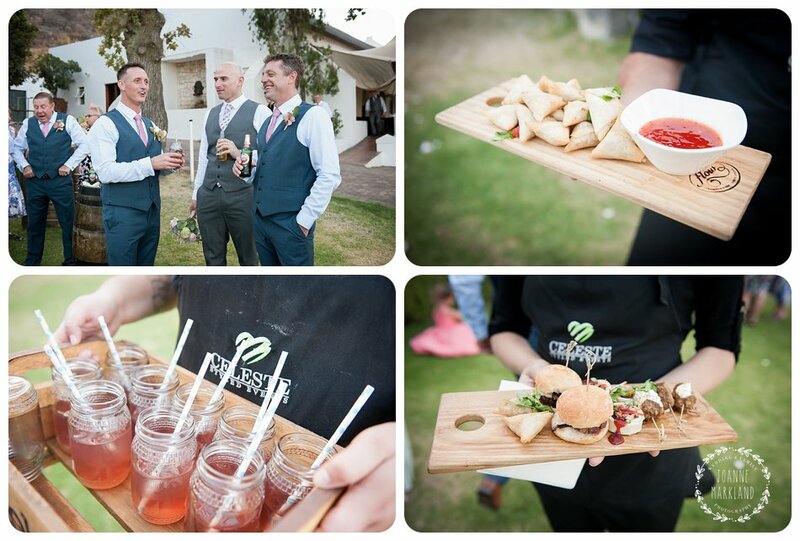 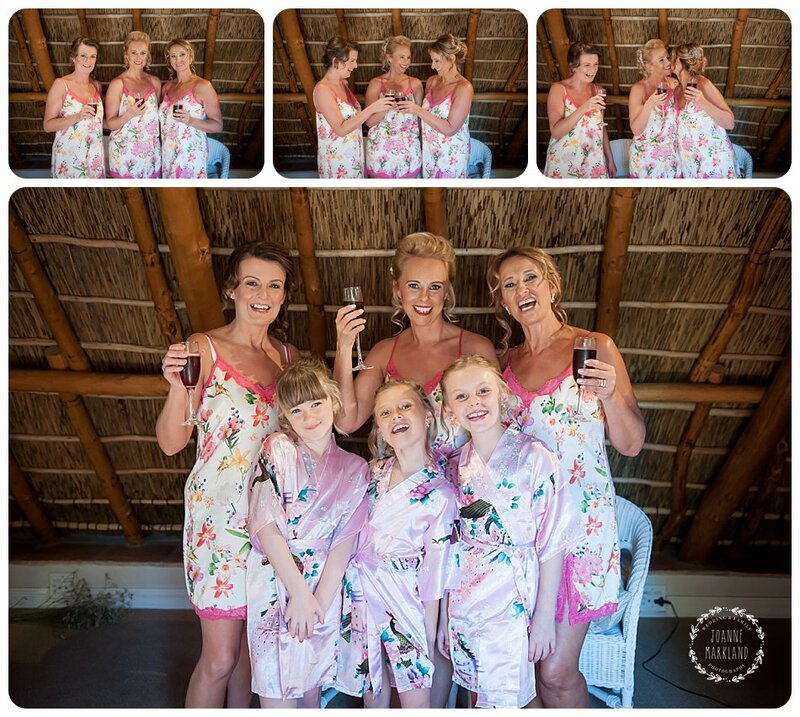 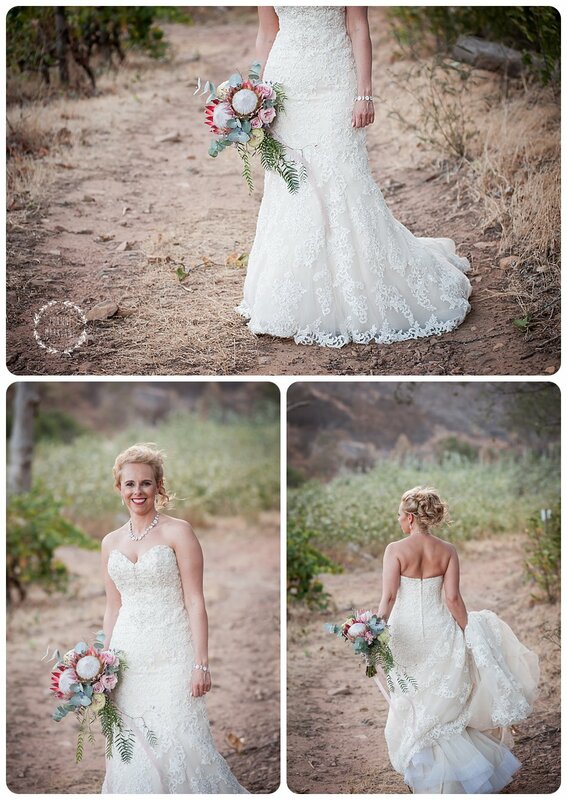 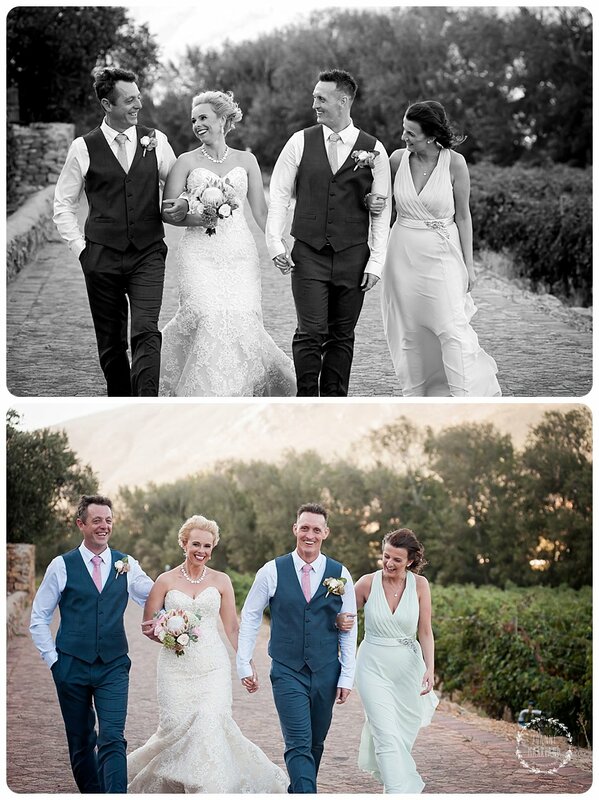 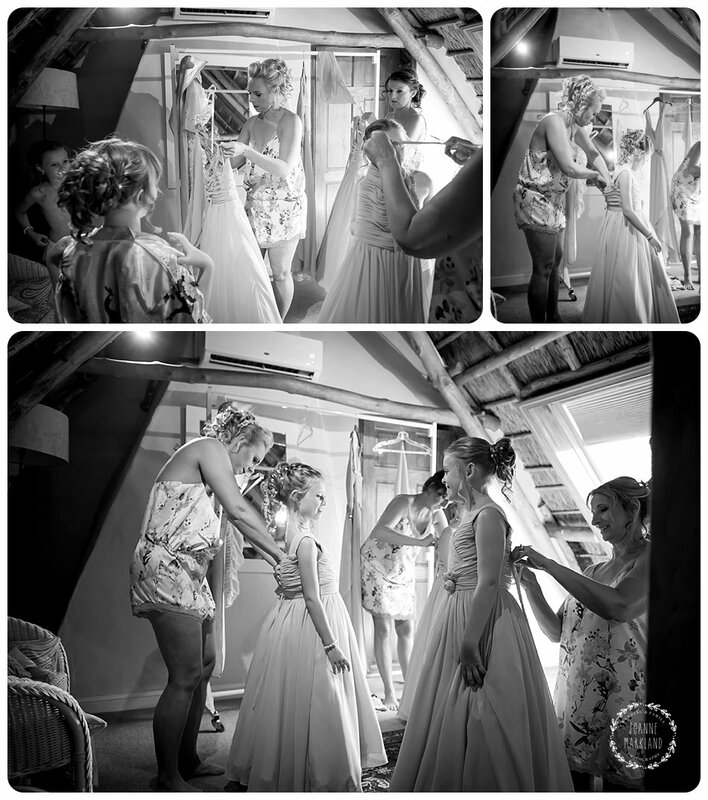 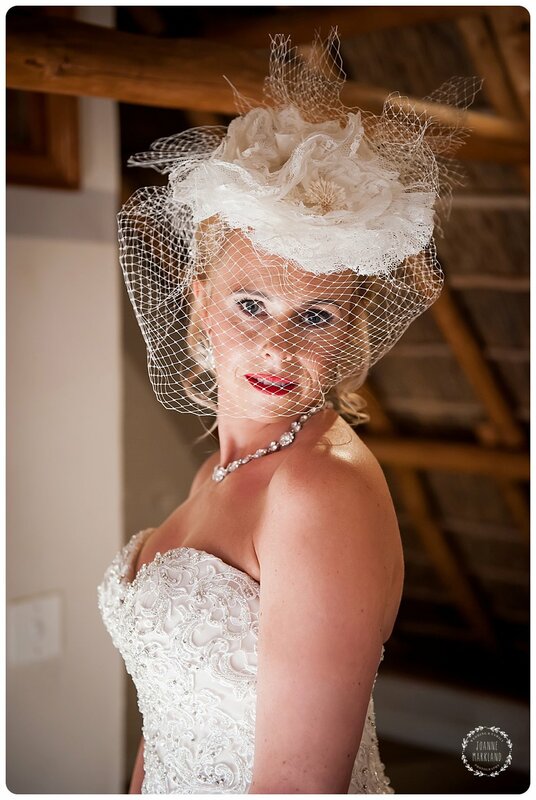 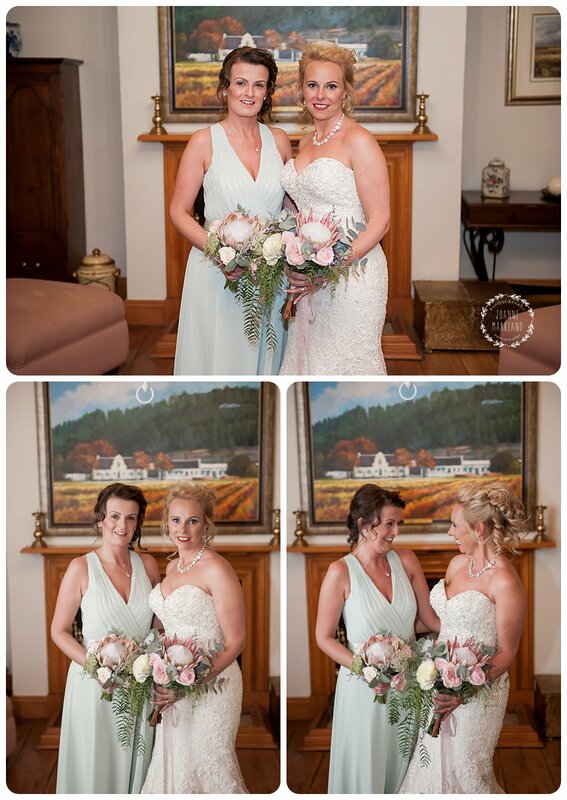 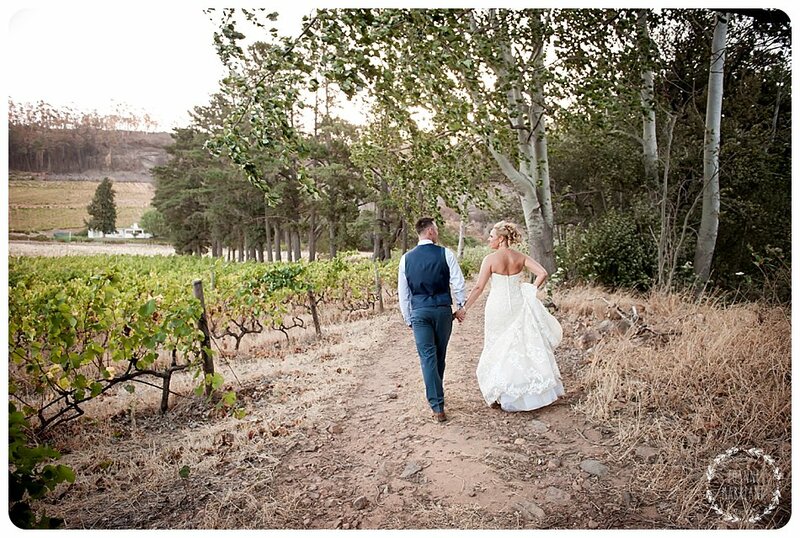 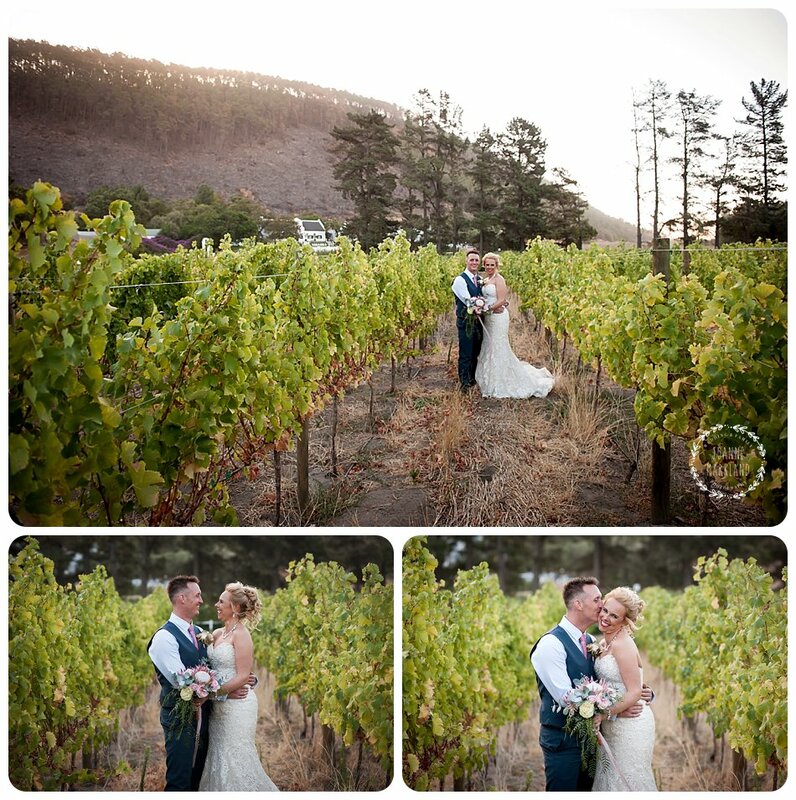 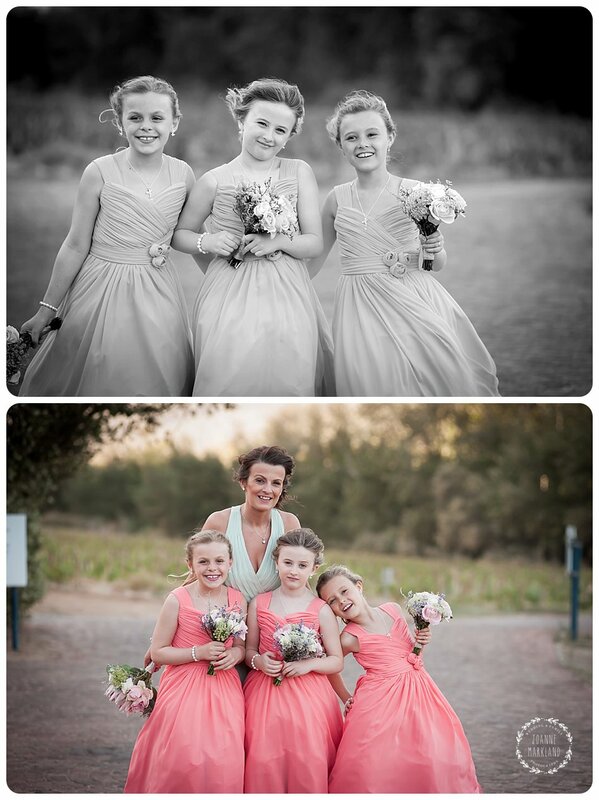 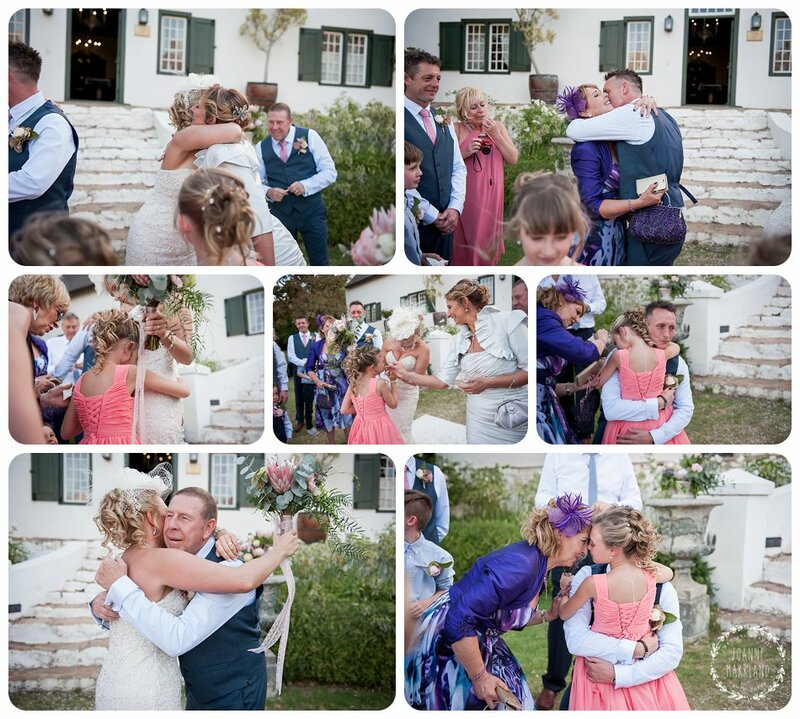 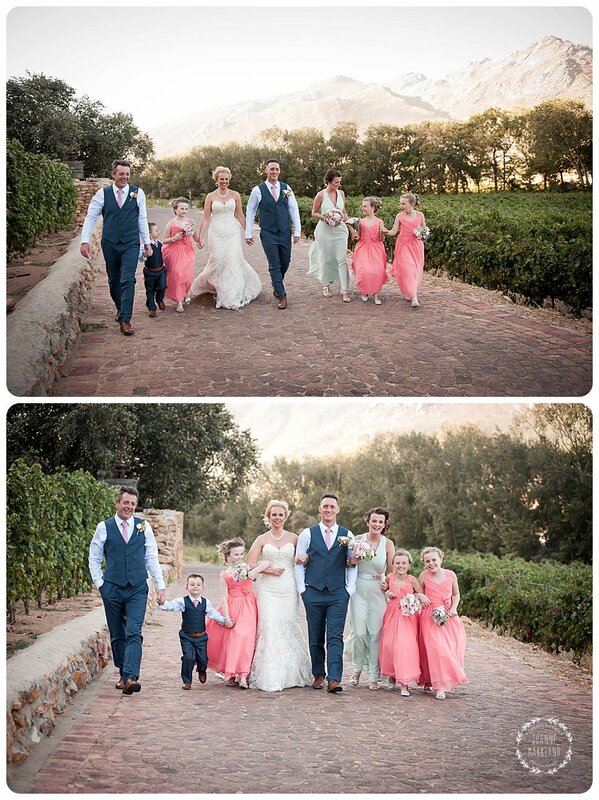 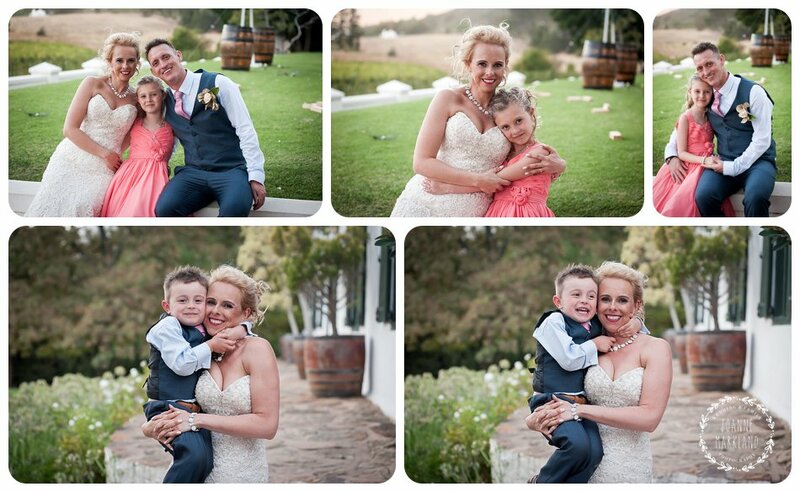 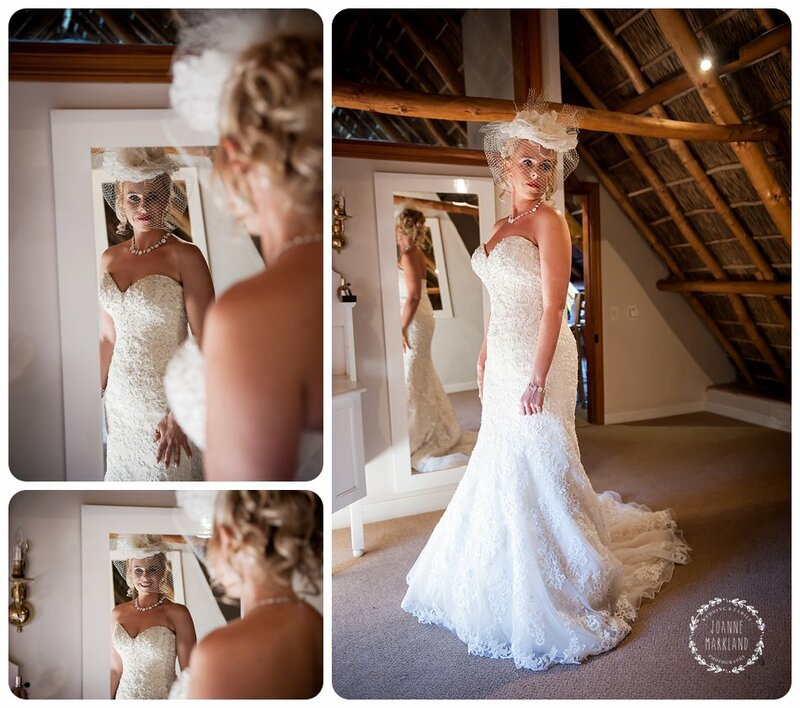 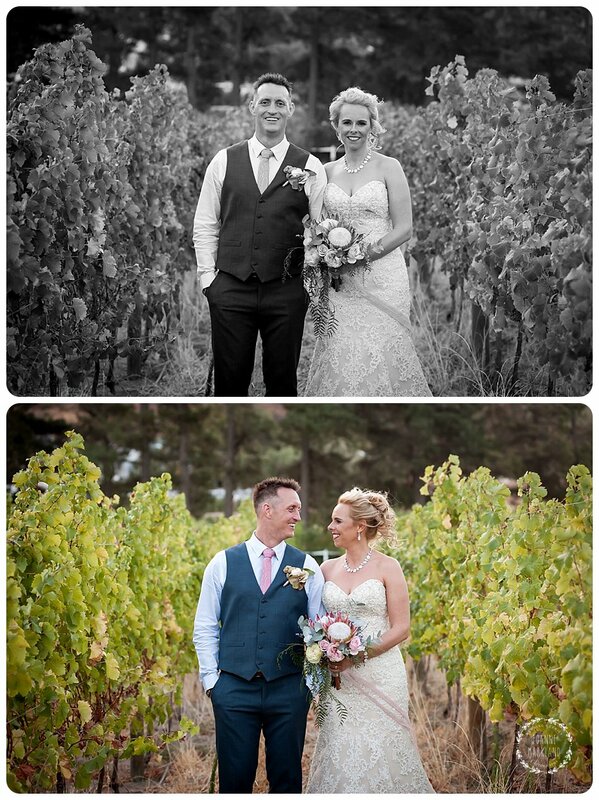 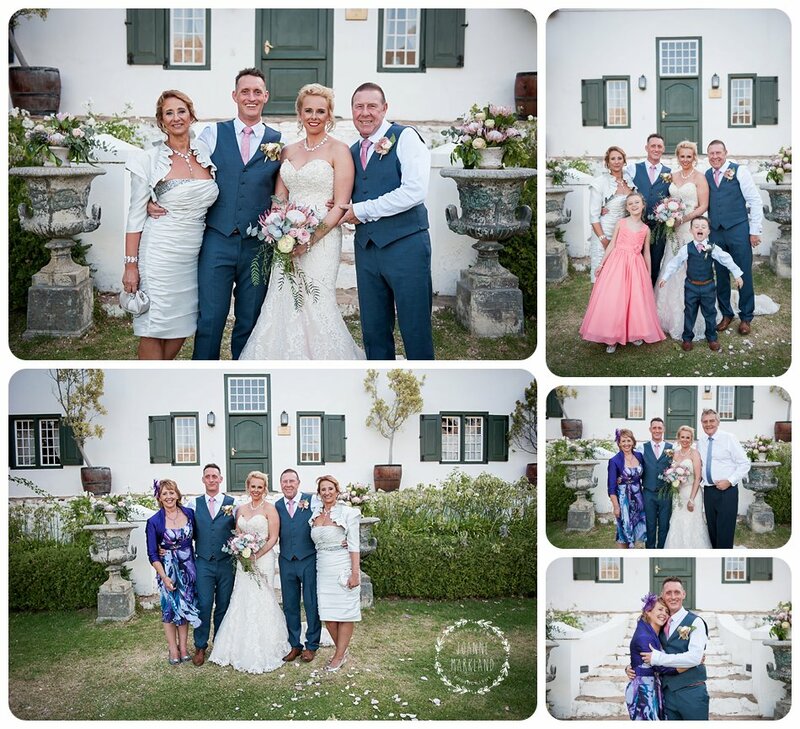 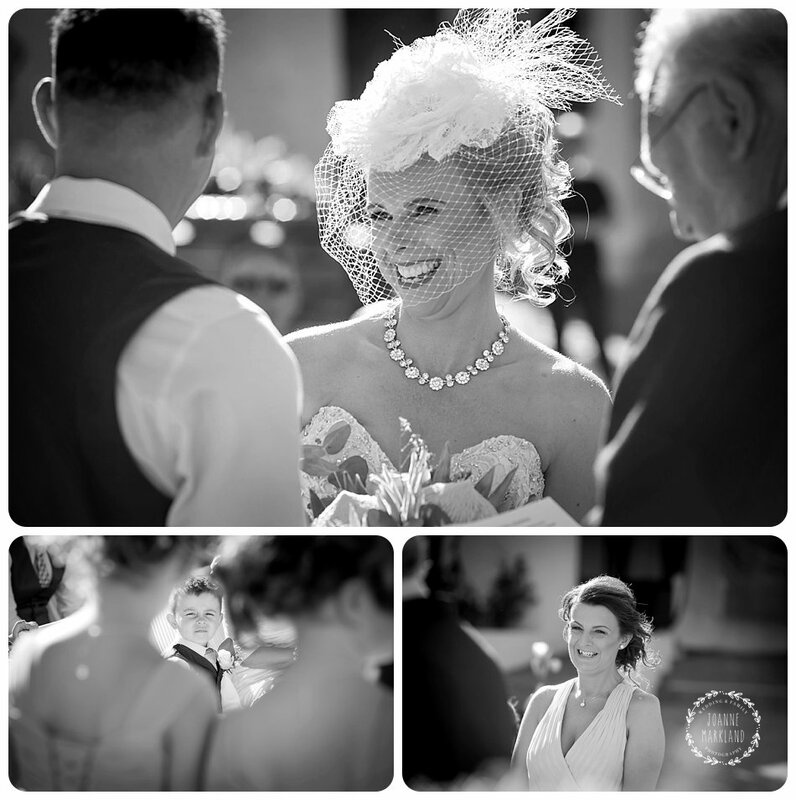 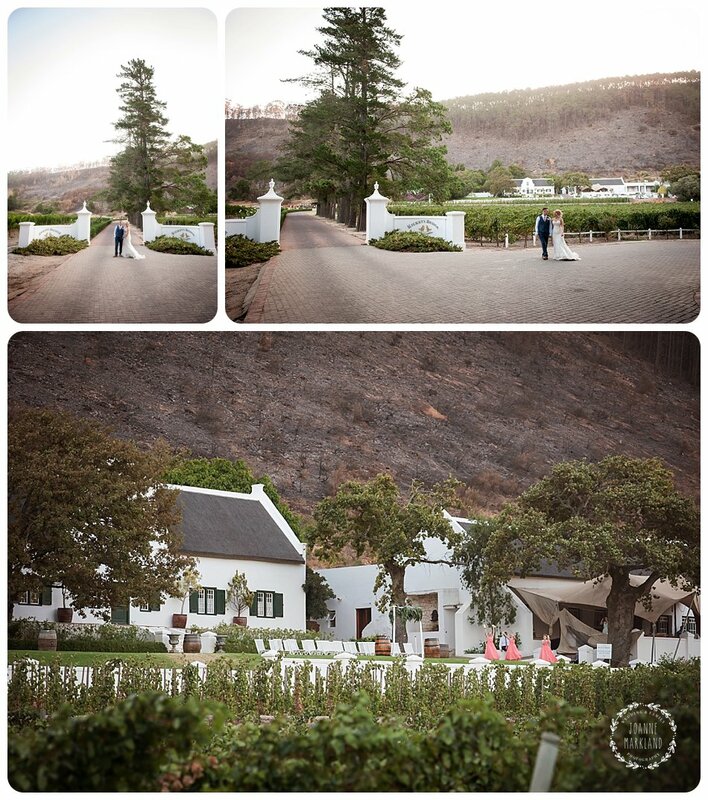 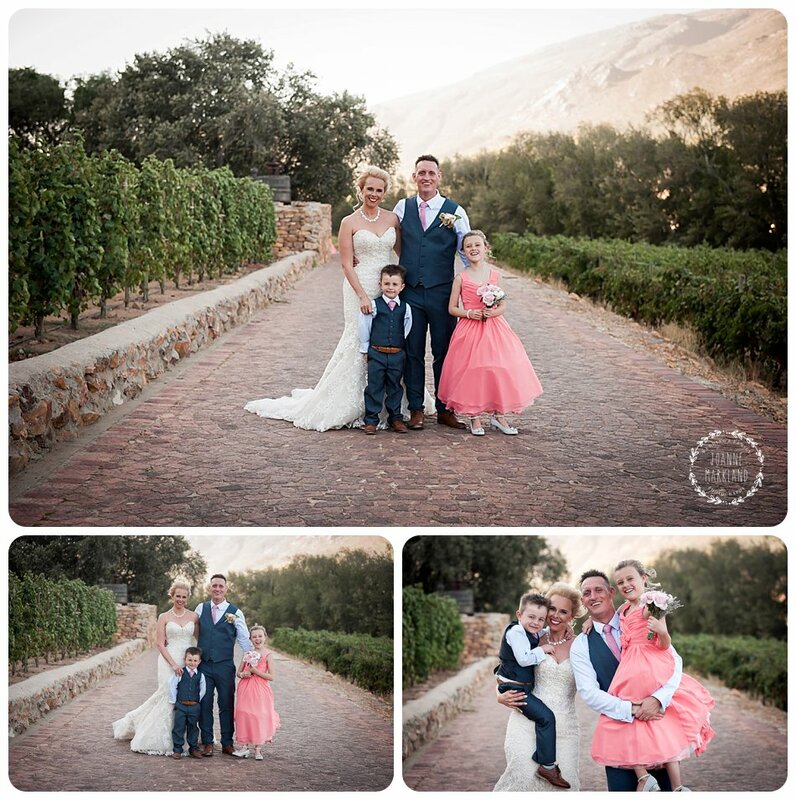 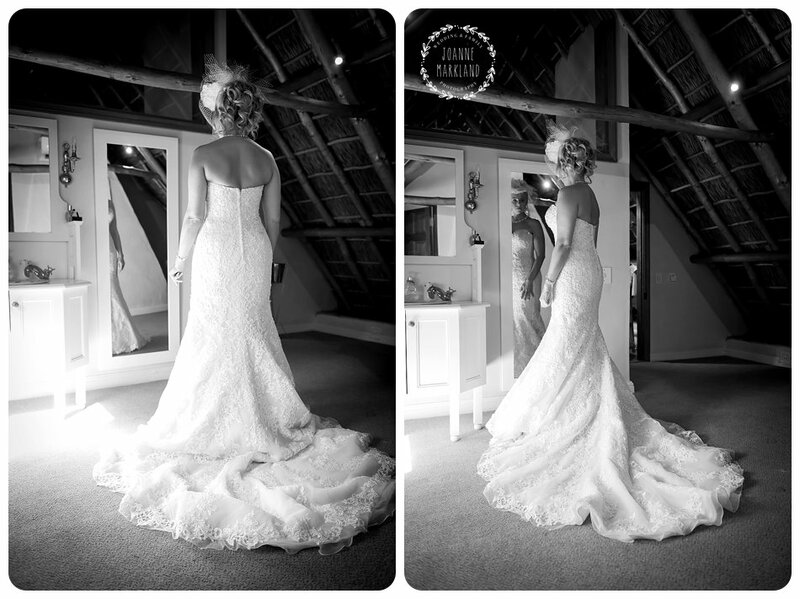 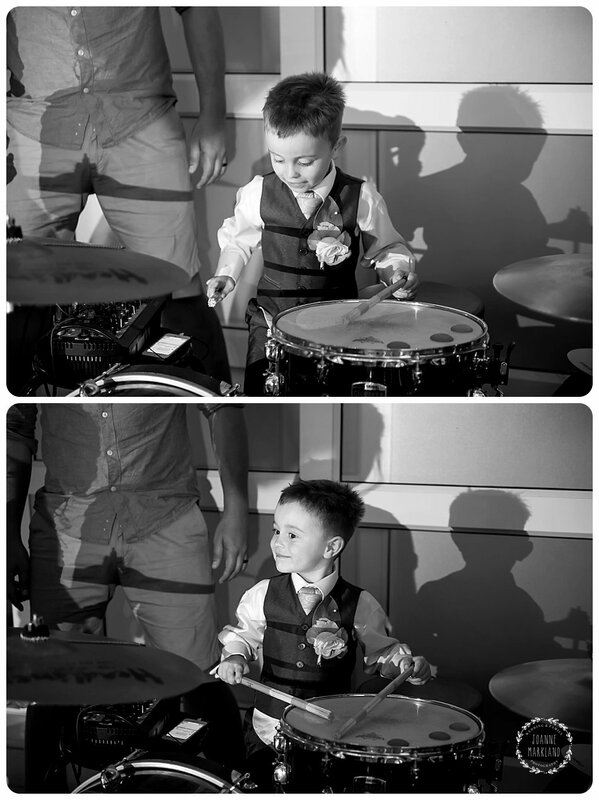 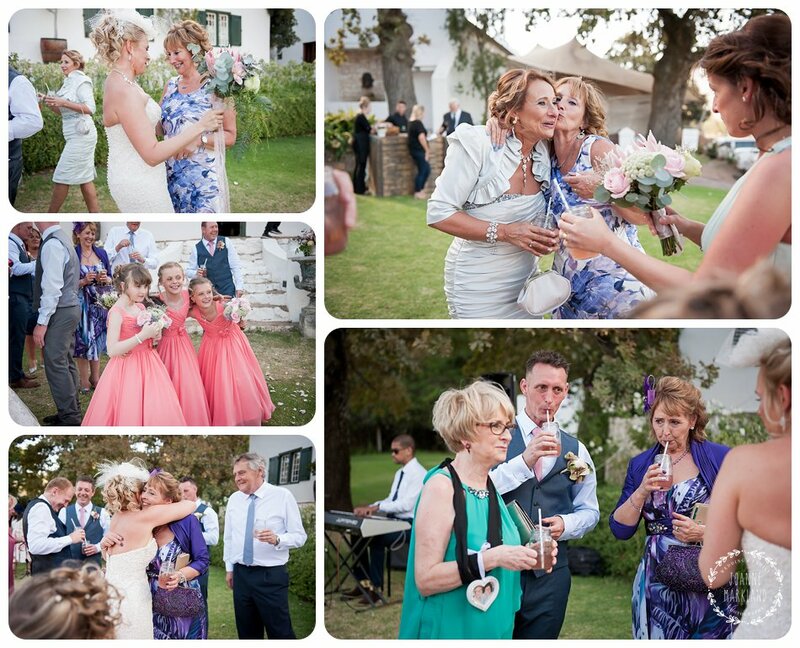 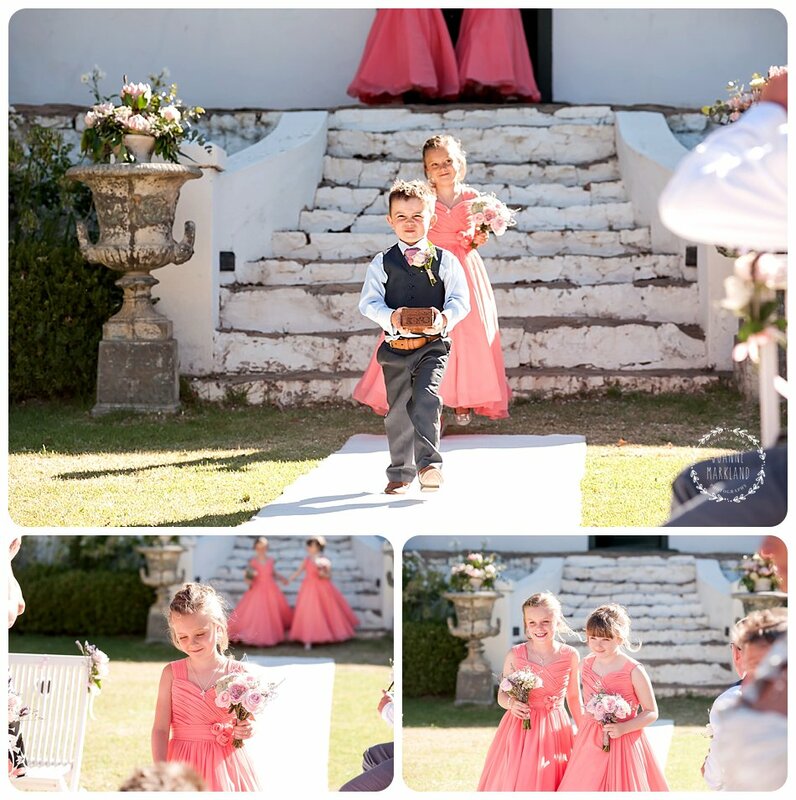 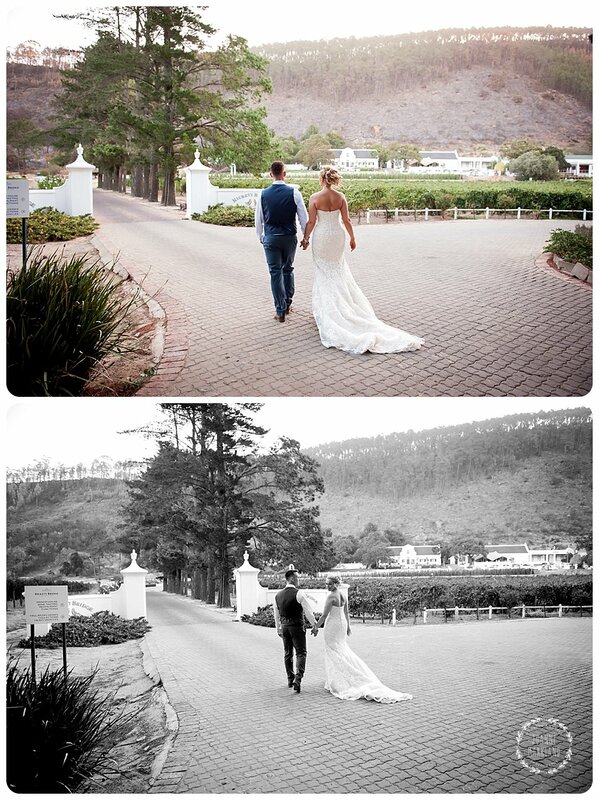 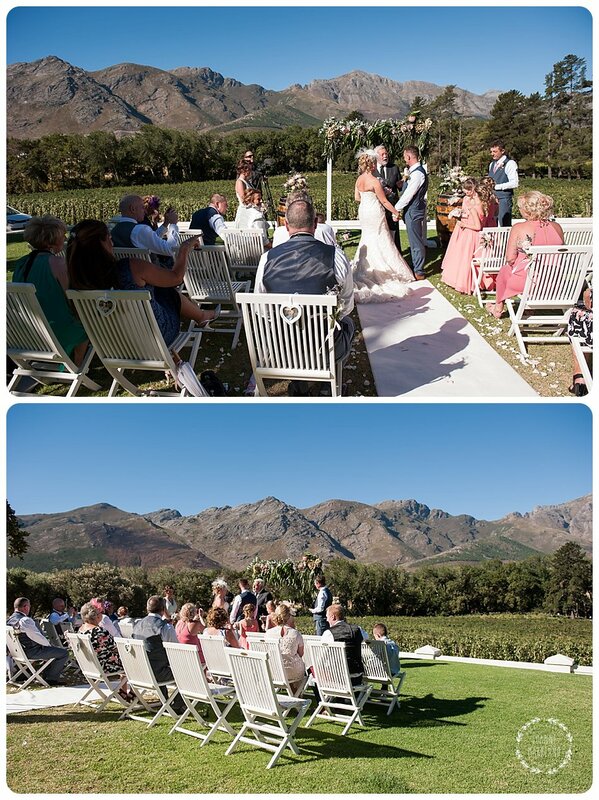 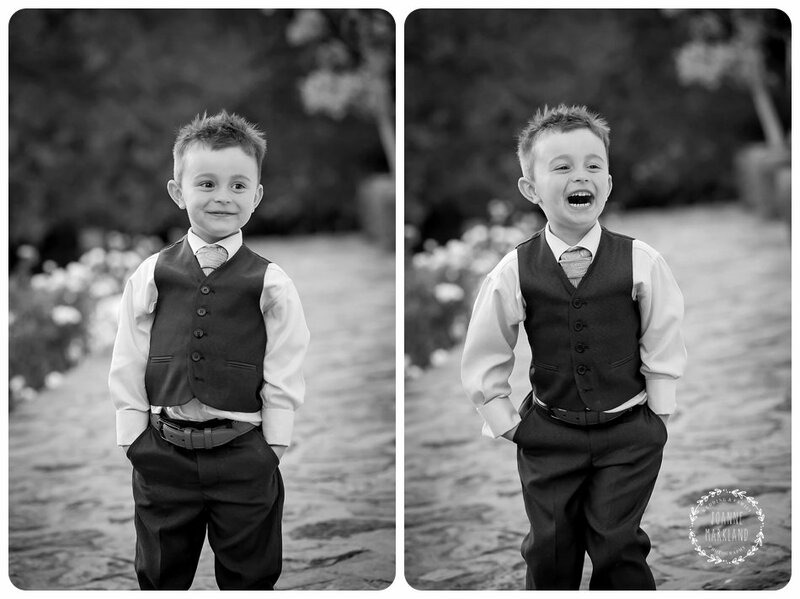 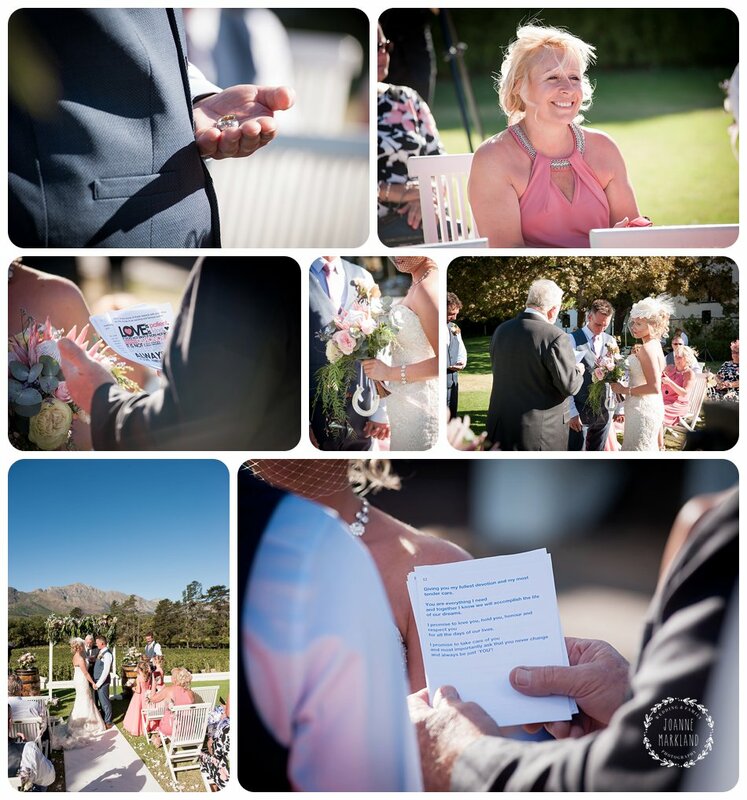 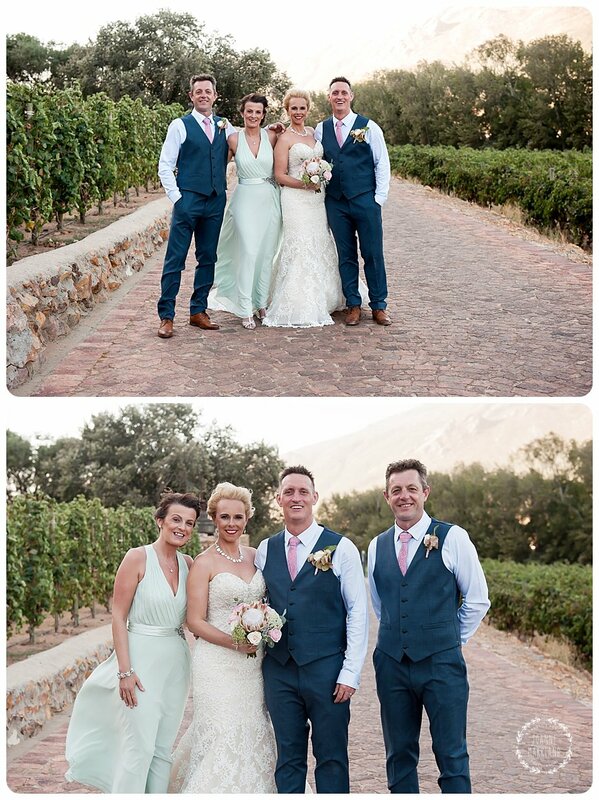 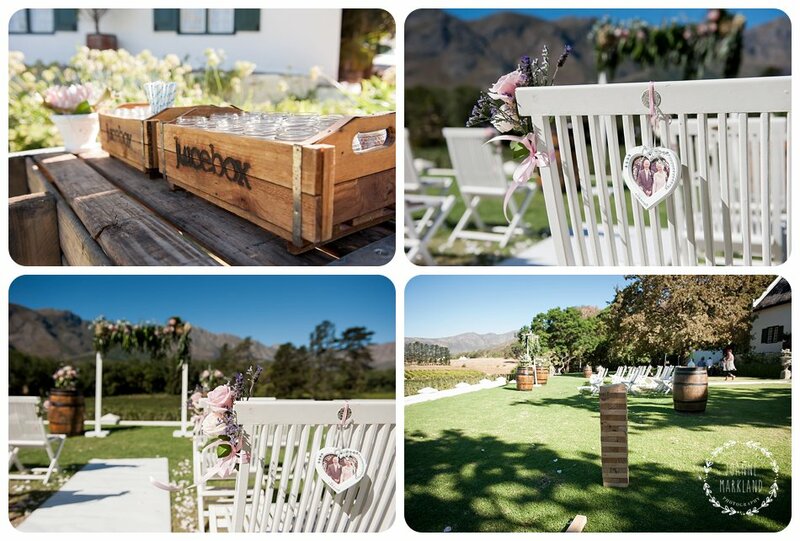 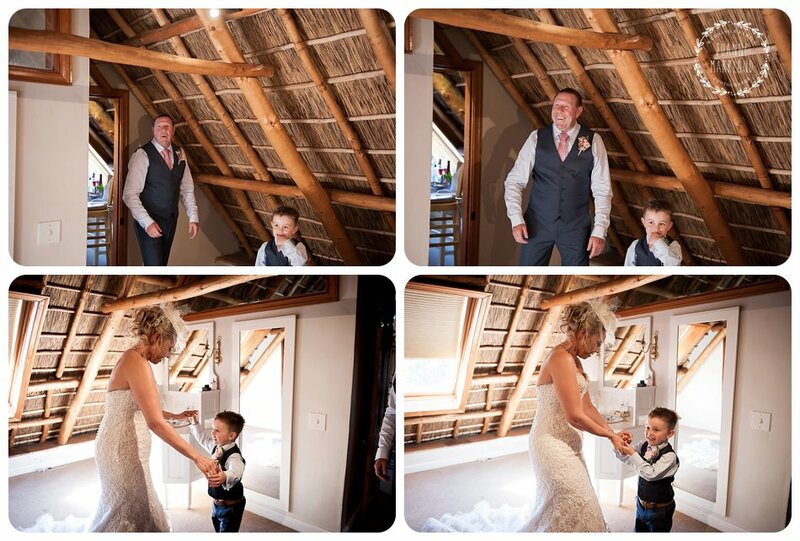 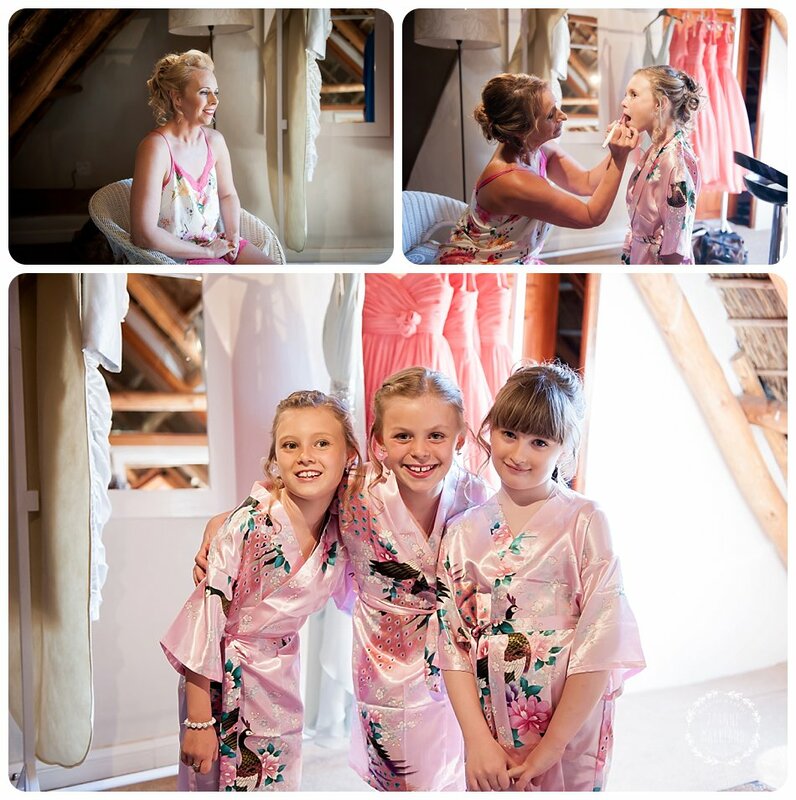 Danny and Nicola had their gorgeous wedding at Rickety Bridge in Franschhoek last month. 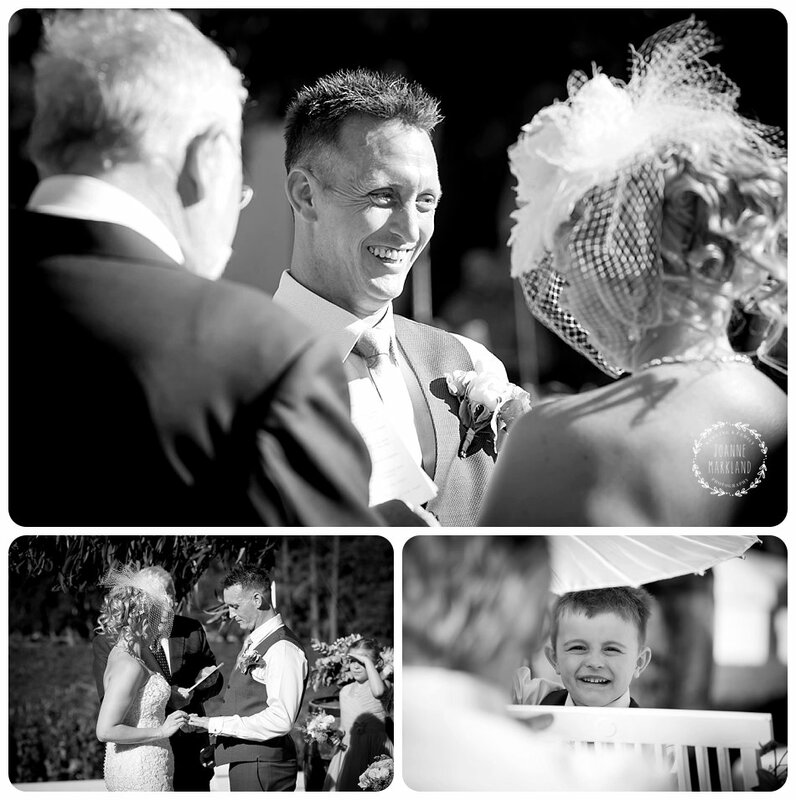 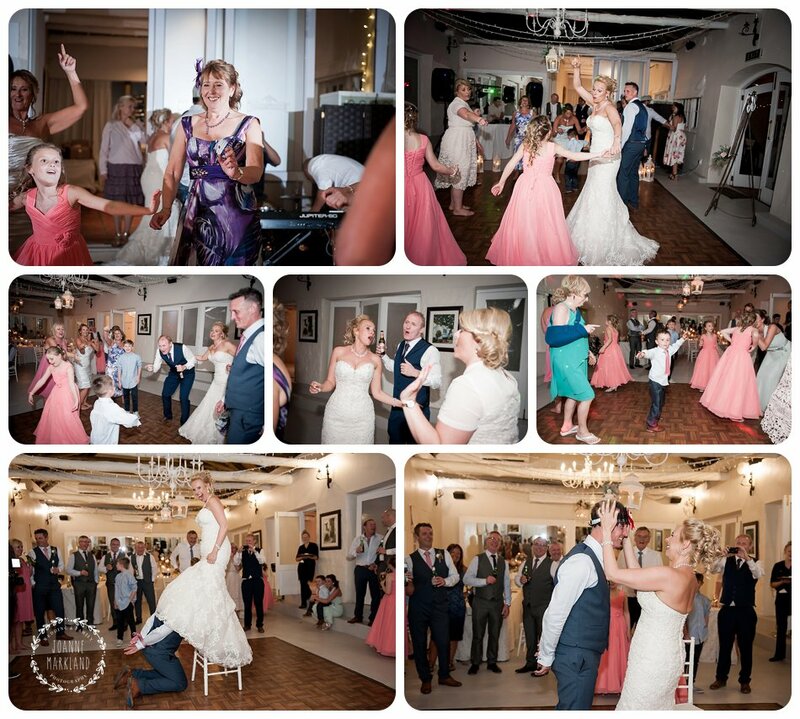 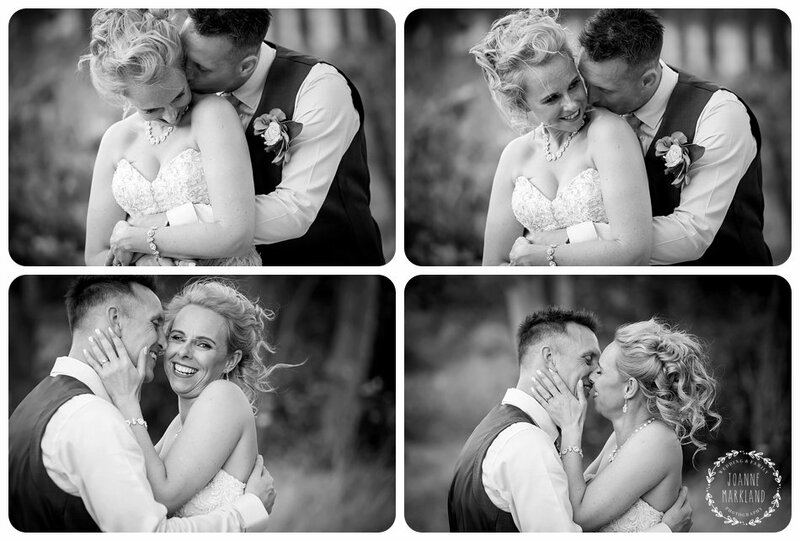 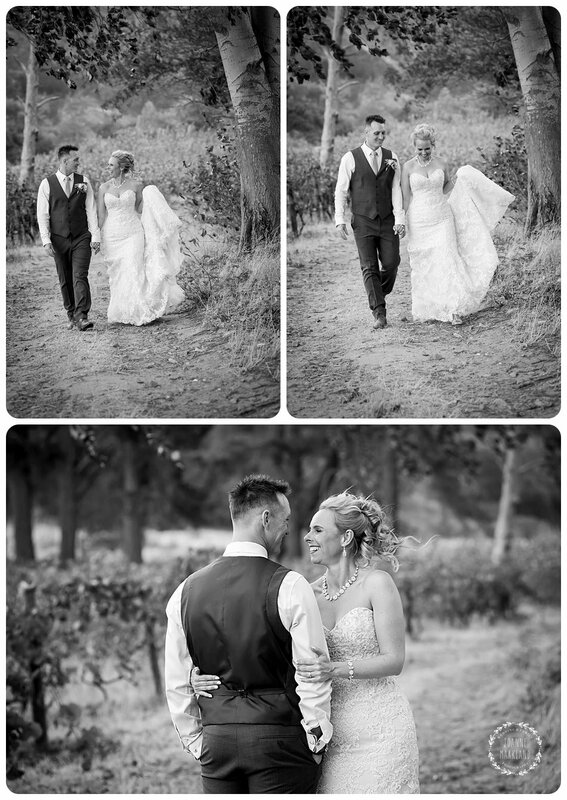 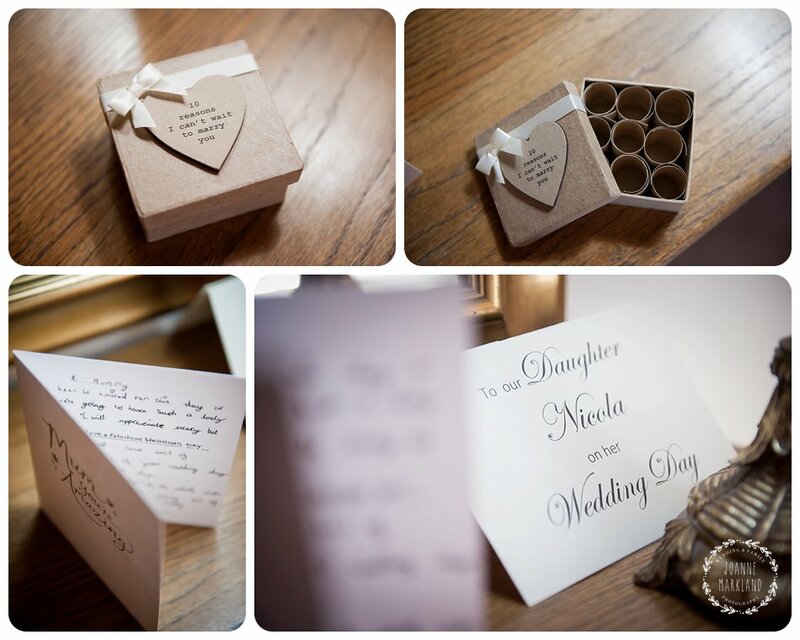 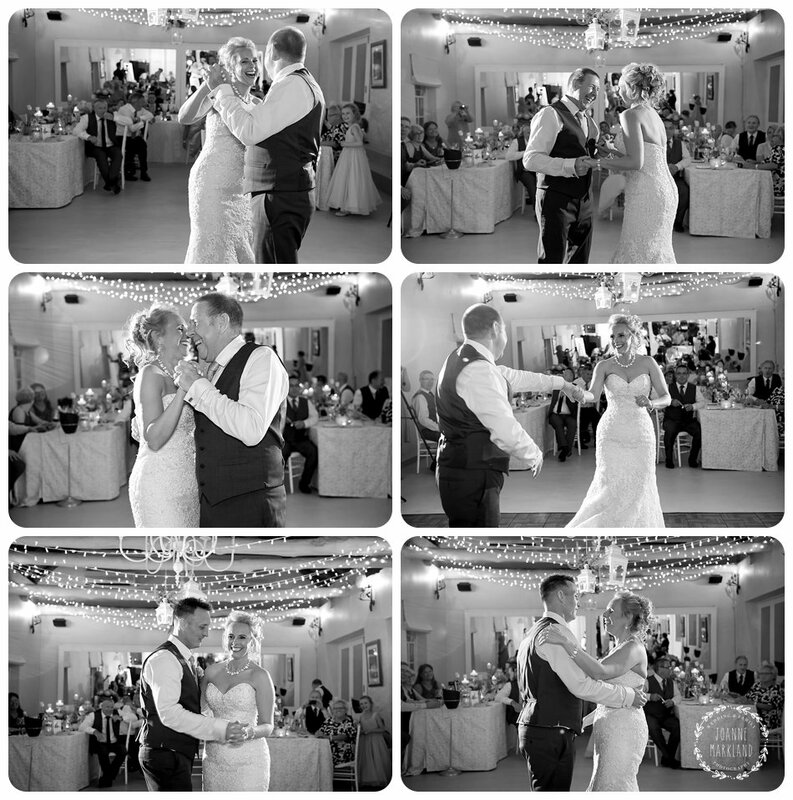 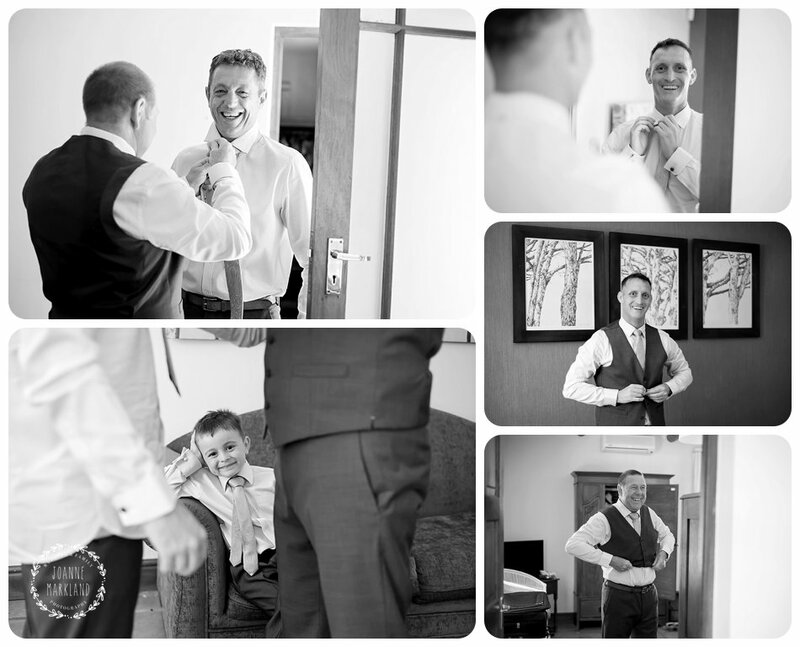 They live in the UK and so planning their wedding was quite a challenge but everything looked and went perfectly. 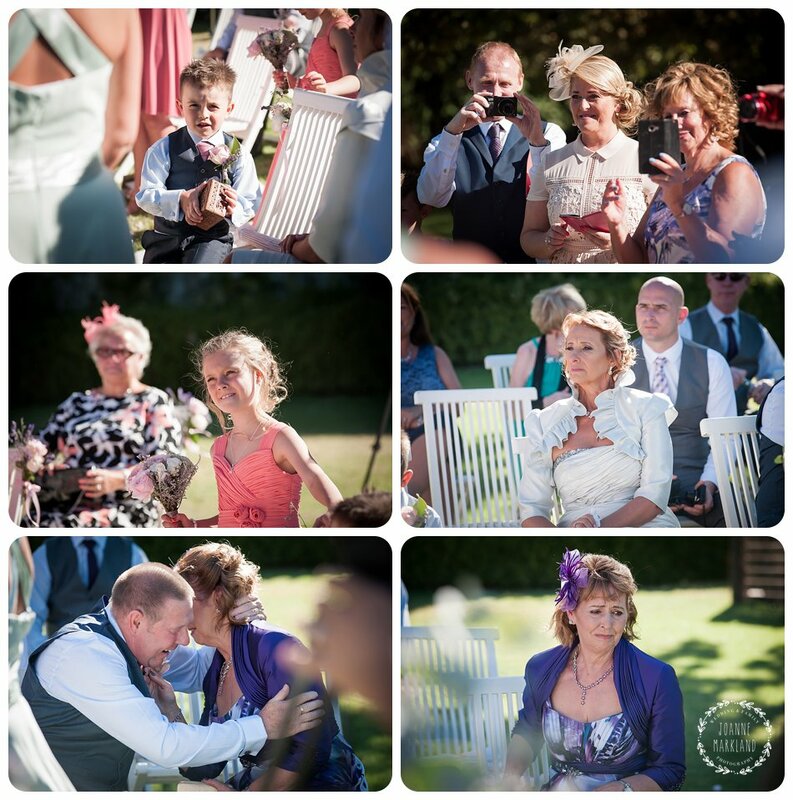 They had about 18 guests including their two children, Ruby and Ole. 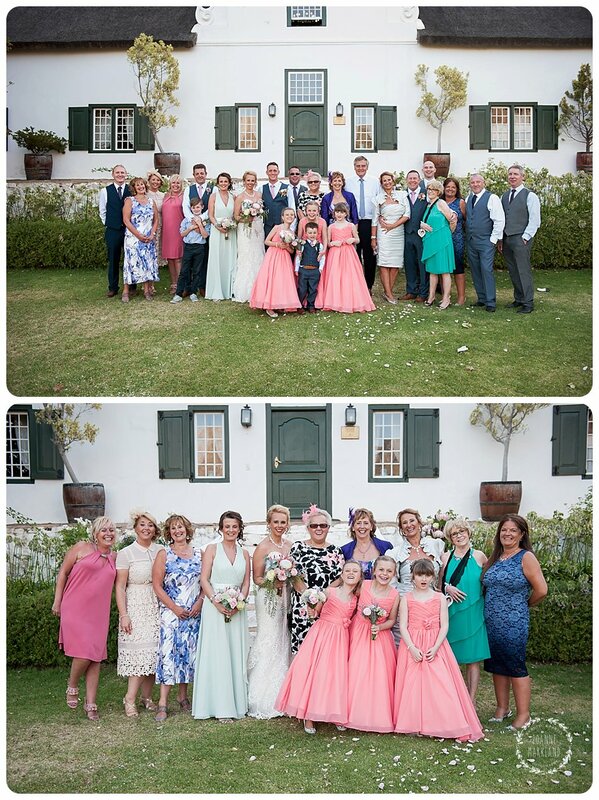 Everyone travelled down from the UK, so it definitely made it that extra bit special. 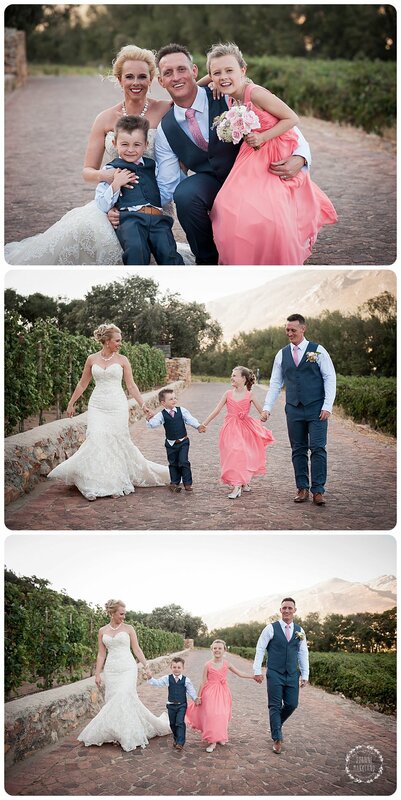 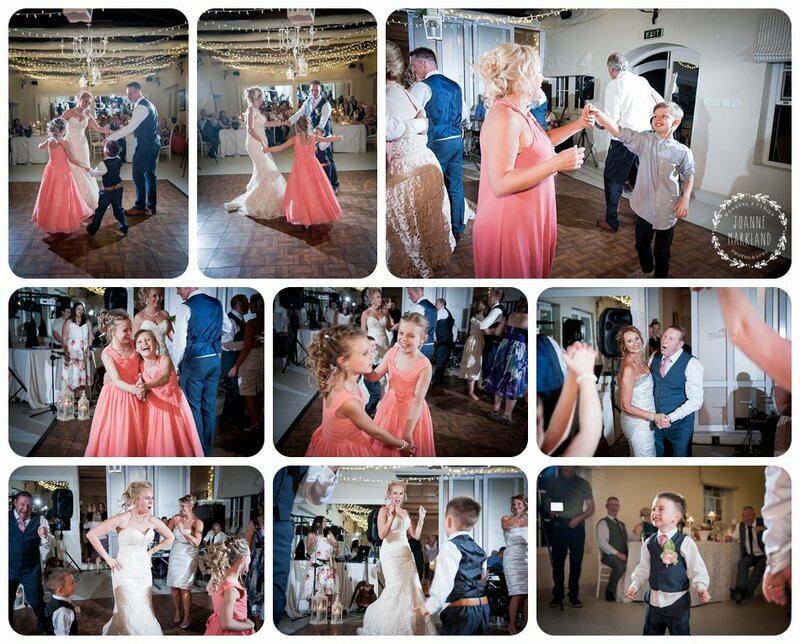 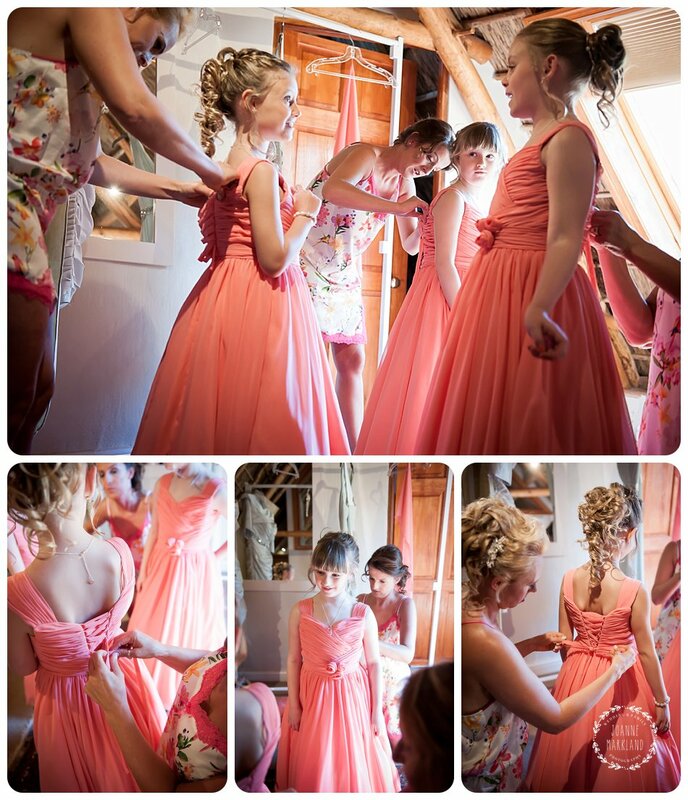 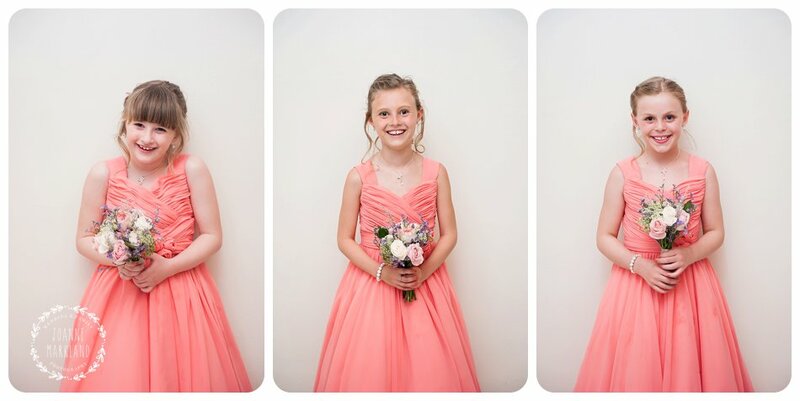 It was so cute to see the kids getting ready and getting all excited when they saw their mom for the first time in her dress. 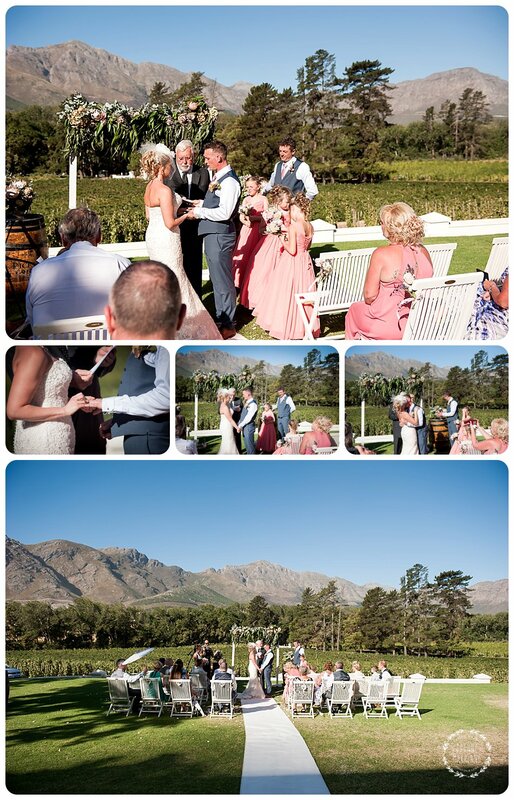 They had their ceremony out on the lawn in front of the Manor house with the gorgeous landscape as the backdrop. 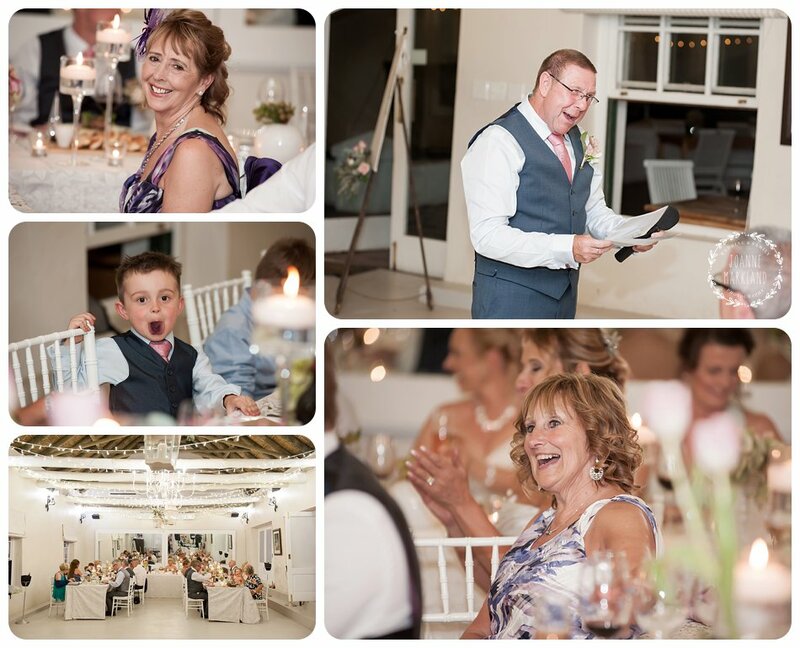 The reception was meant to be outside but there was gale force winds so they decided to keep it indoors. 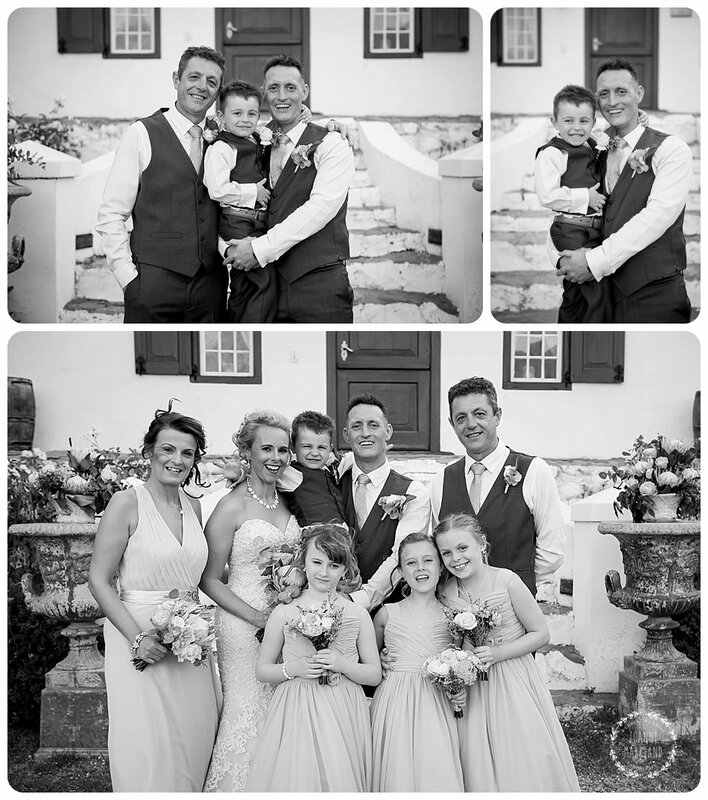 Danny and Nicola you both looked lovely and your guests were so sweet, and those two kids of yours were so well behaved. 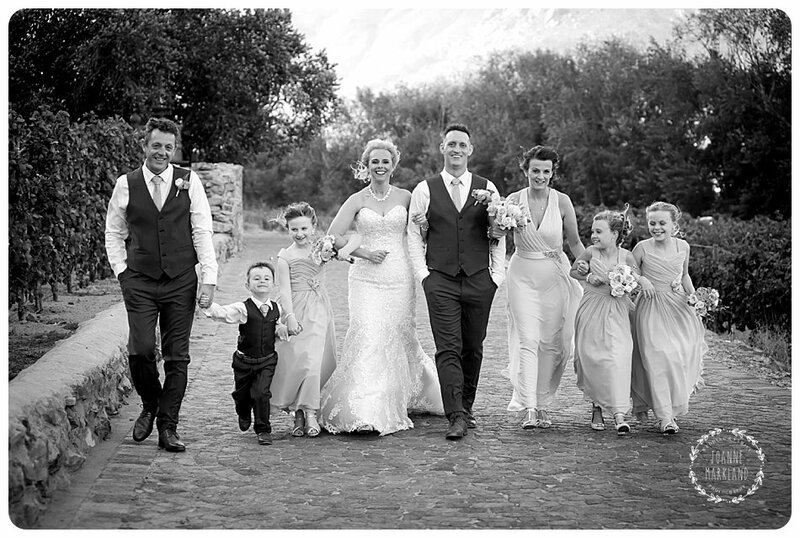 A big congrats to all of you.